Russia has started dispatching electricity from its newest fast neutron reactor to the power grid. Russia is the only country still operating industrial-scale fast neutron reactors. The BN-800 reactor is the fourth one to be commissioned at the Beloyarsk nuclear power plant in Sverdlovsk region in the Urals. It started contributing to the region’s power grid early on Thursday, reported Rosenergoatom the power plant subsidiary of Russia’s atomic monopoly Rosatom. The reactor is operating at 35 percent of its potential output and will reach its peak electric power of 880 MW over a period of several months. 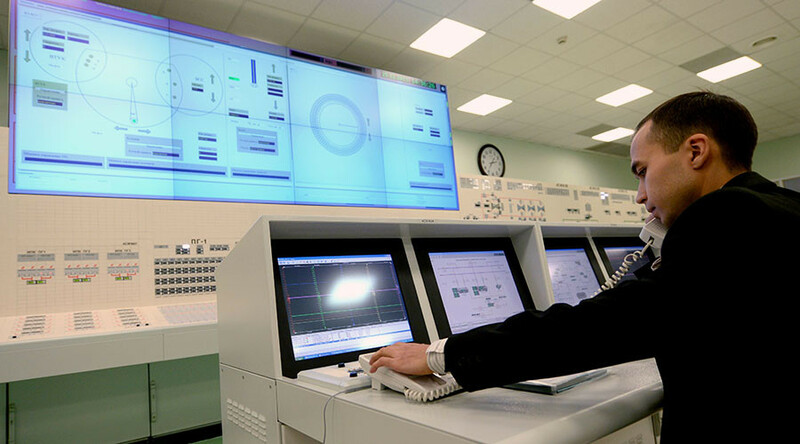 “This day marks the power biography of the new reactor and will be considered its birthday from now on,” said Ivan Sidorov, director of the power plant. Launching BN-800 is a major milestone for the Russian civilian nuclear industry, confirming its mastery of fast neutron technology. “The previous reactor of this type, the BN-600, was commissioned 35 years ago. The BN-800 was constructed under totally different circumstances, so I consider commissioning it a breakthrough for its designers, industrial and civilian engineers, manufacturers, field engineers and operational staff,” said Rosenergoatom head Andrey Petrov. Fast neutron reactors use high-energy neutrons to induce fission in fuel rods. This requires the fuel to be enriched to a higher grade than in regular thermal neutron reactors, so the fuel is more expensive. The benefit is that a fast neutron reactor can be used as a breeder – that is to generate more fissile material than it consumes. The excess can be mixed with low-enriched or even depleted fuel and be used to generate more power. Fast neutron reactors are also very efficient at using MOX-fuel, which is produced by mixing enriched plutonium oxides and uranium. Russia has large stockpiles of weapons-grade plutonium from decommissioned Cold War nukes and is looking for opportunities to utilize them. The technology has been in decline for years due to low uranium prices on the global market, which made wasteful and cheap thermal neutron reactors more commercially feasible. Fast neutron reactors are used in applications where simple design and small size are more important than cost efficiency – for instance on nuclear-propelled submarines and vessels. A handful of experimental reactors are operated or are being constructed by countries such as Russia, China, India, Japan and South Korea. The BN-800 is more a demonstration of technology than a commercial enterprise, an exercise in waste-less, eco-friendly nuclear energy. When it is operating at full capacity, the BN-800 will beat the record as the world’s most powerful fast neutron reactor, taking the title from the BN-600, its neighbor at the Beloyarsk plant. The most powerful reactor of this type ever commissioned was the French Superphénix designed for a 1,200 MW output, but it never operated beyond 33 percent capacity before being closed down in 1997.